Quinoa Breakfast Eggs - One of the Easiest Quinoa Breakfast Recipes! These quinoa breakfast eggs are an easy and nutritious way to start your day! If you’ve never had quinoa for breakfast, you are going to love the way it makes you feel. Combine it with creamy avocado and a perfectly cooked egg, and you’ve got one of the best healthy breakfast recipes you could find. With just six ingredients, this breakfast quinoa bowl is surprisingly delicious. Start your day off right with this Quinoa Breakfast Scramble! I don’t know about you, but how I start my day sets the tone for the rest of the day. If I eat a healthy breakfast, I will typically follow up with a healthy lunch and dinner. On the other hand, if I grab something unhealthy first thing, I usually end up head first in a bag of chips by mid-afternoon. And let’s not even get into what happens late at night. For me, a healthy breakfast is one packed with protein. If I felt good eating a bagel or regular pancakes every day, I totally would. Because I love my carbs a little more than I should. Unfortunately, a high-carb low-protein breakfast leaves me hungry. This happened just last week when the boys begged me for donuts. Despite my better judgment, I decided to indulge. Because I don’t want to be the mom who always says no. My perfect breakfast looks something like today’s Quinoa Breakfast Scramble brought to us from Lena at Root and Blossom. 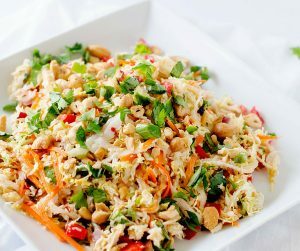 This is one of the best healthy breakfast recipes that I’ve found. 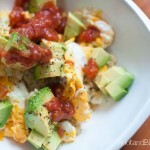 2 Like this Breakfast Quinoa Scramble but looking for more healthy breakfast ideas? You may like these easy quinoa breakfast recipes too. 4 What are your favorite breakfast foods? I get asked all the time, is quinoa good for weight loss? I’m not aware of any studies that specifically address this, but I can tell you that it is packed with complete plant based proteins, is fairly low on the glycemic index, and is a great source of nutrients. There are numerous studies that suggest that a plant strong diet is good for weight loss, so logic would have it that quinoa is a good food to support your weight loss efforts. An I personally think that breakfast quinoa recipes can play a key role in your health, whether you are looking to shed pounds or improve energy levels. Is Oatmeal or Quinoa Better for You? While both can be part of a wholesome diet, quinoa gets the nod because it has almost 3 grams more of protein per serving. Additionally, quinoa offers a complete source of plant based protein, containing all of the amino acids that we need. Oatmeal does not. It is also important to note that oatmeal can be a problem for some people who are extremely sensitive to gluten. This is most often due to the way it is processed. Are Quinoa and Quinoa Flakes the same? No! Quinoa refers to the seed while Quinoa Flakes are a pressed flake simpler – but finer in texture – to oatmeal. How Much Quinoa Do I Need to Cook to Yield 1 cup? You would need to cook 1/3 cup of raw quinoa to yield one cup of cooked quinoa. Learn how to cook quinoa here. Do you eat breakfast or skip it? What is your favorite way to start the day? This easy to make quinoa breakfast scramble is the perfect way to start your day! It is a simple quinoa egg breakfast bowl that is healthy and easy. 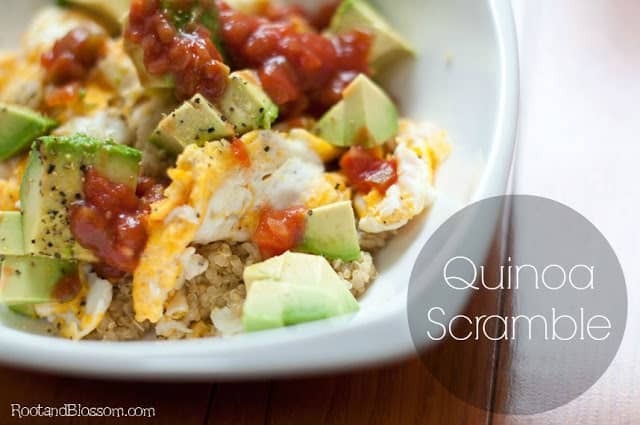 Place quinoa in a serving bowl ad top with eggs and avocado. Top with salsa and sprinkle with lemon pepper and garlic salt. Like this Breakfast Quinoa Scramble but looking for more healthy breakfast ideas? You may like these easy quinoa breakfast recipes too. 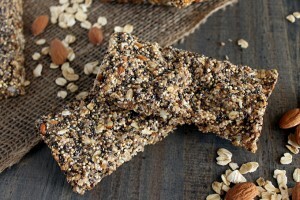 These Quinoa Chia Seed Protein Bars are a great make ahead breakfast that is packed with plant based goodness. 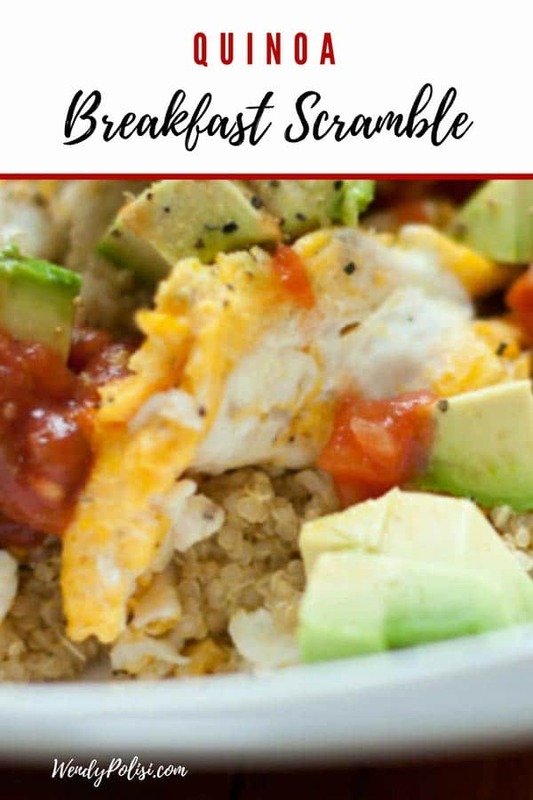 This is one of my favorite quinoa breakfast recipes for when I am on the go. 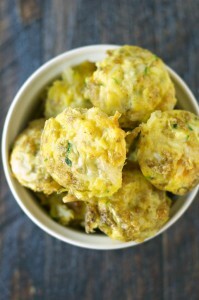 These Sneaky Breakfast Quinoa Bites are one of my favorite ways to get my kids eating quinoa for breakfast. They are the perfect healthy breakfast to make ahead. 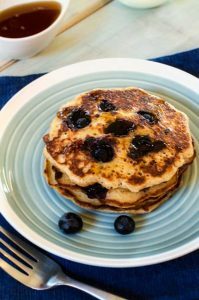 If your kids (or you) prefer something sweet in the morning, a great way to get them eating quinoa for breakfast is with these Blueberry Quinoa Pancakes. This quinoa breakfast recipe is perfect for when you are playing sneaky chef. Only you will know the quinoa is there. 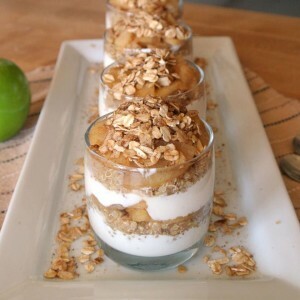 I can’t quite decide if I like these Apple Cinnamon Quinoa Parfaits better as a dessert or breakfast. Either way, they are a delicious recipe you can feel good about serving. By the way, I just became a publisher on Yummly. You can check out my profile here. If you’ve never tried Yummly…YOU MUST! Is an amazing platform that allows you to not only save your recipes but you can also search through recipes based on nutrition, allergy, cook time and more. 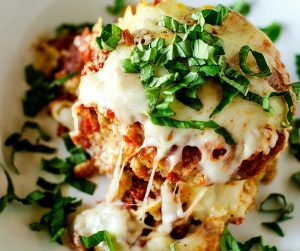 Make sure as you are browsing through the site you click the YUM button (near the Facebook and Pinterest buttons) and save your favorite recipes! Is Quinoa Better than Rice? I’m so glad I found your blog(via Pinterest), but I’m definitely checking out your Yummly page! I recently started my fitness journey and have lost 12 pounds since May 27th. I’ve been trying to incorporate more proteins as I’m not a big meat eater, cut out white flour and sugar, and eat less processed foods. The eating part is easy, the exercise not so much. I’m such a lazy person! Anyway, I can’t wait to try this for breakfast tomorrow! I just bought 4lbs of quinoa and need variety. Wow – Way to go on your weight loss. That is amazing! I am right there with you on the fitness. I am working on it. Progress, not perfection! 🙂 Glad to have you here.